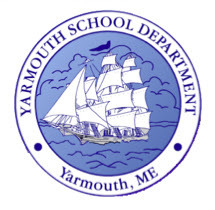 On behalf of our entire staff, I would like to welcome all of our new and returning students to Yarmouth Elementary School. It is with great enthusiasm that I send out this opening of school letter for the 2018-2019 school year! I look forward to meeting new faces, revisiting with familiar ones, as well as hearing all about everyone’s summer adventures! For those of you who have not met me, I have been a teacher and school administrator in Maine for the past twenty-six years . This will be my second year as the principal of YES. It has been, and continues to be, an honor to lead such a wonderful school. I am excited for our work together as we make this another fabulous school year. Much planning and hard work has gone on this summer to prepare for a successful year. Our teachers and staff have spent many hours in professional development, preparing materials and creating student-centered classrooms. The rooms are beginning to look amazing! Our opening day is just around the corner and it is time to begin thinking about the new school year and other fall activities. We look forward to seeing you at our informal drop-in Open House on Thursday, August 30th from 9:30 AM to 10:30 AM. This is an opportunity for you and your children to meet new teachers, visit classrooms and see old and new friends. There are two new staff members who will be working with your children this year. This fall we are happy to welcome Lindsey Lokken who will be our school social worker, and Margaret Gregoire who will be an educational technician providing instructional support. We also welcome back two staff members who are in both new and familiar roles. Megan Smith will now be a second grade teacher and Renee Rhoads is returning to YES as a grade four teacher. All of these staff members bring different professional talents and strengths to their respective positions. We are pleased that they are part of the YES community! Communication between home and school is an important priority at YES. Please review the 2018-19 Student/Parent Handbook that is posted on our website. This will provide you with detailed information on our policies and procedures. On the first day of school, we will send home many forms in an effort to make sure that everyone receives some important information. After that, most of our correspondence will be through email. Throughout the year, Dani Carter and Lisa Bianchini, our administrative assistants, will send informational emails from the office. I will also send out a monthly newsletter and encourage you to follow me on our school website and the YES Twitter page as I share all the learning, information and fun that occurs throughout the school year. Please make sure that you check your child’s teacher page, website or blog as this is the best way to stay informed. If your child plans to ride a bike to school, please remind him/her that the bike racks are near the front entrance of the building. A student is permitted to ride a bicycle or walk to school with written permission from his/her parent or guardian. Please send a note in with your child to give their teacher. Students are responsible for securing their bicycle to the bicycle rack. Please remember that helmets are required in Maine for all children under age 15. Bicycle riders and walkers are dismissed with all students at 3:30 p.m.
Children should not be on the playground before 8:15 a.m. as there is no supervision before then. In the afternoon, please come in to the office and sign your children out even if you arrive after dismissal at 3:30 p.m. Safety is another top priority at YES and it is very important that we know where everyone is. We appreciate your patience, help and cooperation with this. Please make every effort to confirm plans for after school before your children leave in the morning. If plans should change during the day, please call us and we will notify your child of new plans at the end of the day. Teachers do not always have time to check email during the day; therefore, calling the office is the safest way to notify us of a change. Following our policies, please remember that birthdays are celebrated without food items and gift bags for students. Students are honored by teachers in other creative and fun ways on their special day. September 4th, Tuesday First Day of School! September 13th, Thursday Grade 2 Open House 6:00-7:00 p.m. School Committee 7:00 p.m.
September 20th, Thursday Grade 3 & 4 Open House 6:00-7:00 p.m.
At the second grade Open House we will begin in the cafeteria/gym at 6:00 p.m. for a brief meeting. I will provide a brief introduction and you will also have an opportunity to meet with our unified arts team before spending the rest of the evening with your child’s classroom teacher. At the Gr. 3 & 4 Open House event please proceed directly to your child’s classroom. September 20th, Thursday K-4 PTO Meeting (YES Library) 7:00 p.m. In addition to these school based dates I also invite you to partner with us this fall in a new student wellness initiative. The Yarmouth Parent/School Alliance: Navigating the Path to Student Wellness is an opportunity for our parents and schools to communicate with each other, learn together and support one another. The first meeting will be October 17, 2018, 6:30 to 8:00 pm in the Yarmouth High School Cafeteria. This first meeting is a time for parents to share perspectives- in a safe and welcoming environment- and to engage in a dialogue about student wellness. Together, we will identify the current challenges that we face as their caretakers at home and as their educators in school. Following this first session, our meetings will focus on proactive supports that will help us all improve student wellness in Yarmouth. Please join us! School Counselor News Another school year is upon us which brings a plethora of emotions. Here are some ideas to start the new school year. Practice your school routine a few days in advance. Go to bed at the time you would for school, set the alarm clock and do your morning ritual. Get in the car or to the bus stop on time. Remember, routines allow children to feel comfortable. Take advantage of our before school drop-in. When your child is able to see their classroom and familiarize themselves with the school setting, they gain confidence which can help alleviate a nervous stomach on the first day of school. This year is going to be amazing as we continue to provide academic experiences for our students that are rigorous and relevant. This work occurs at YES in a culture of caring that is focused on building positive relationships. It is important to me that everyone who steps through our doors- students, teachers, staff and parents-are excited to be here! This mindset enables us to meet the challenges of academic excellence in a positive, fun, and nurturing environment. As pleased as I am to offer a monthly newsletter, it is the face-to-face interactions that I value most. My door is always open and I welcome your input. Please feel free to call or email me to discuss any questions or concerns you might have throughout the school year. Our entire staff looks forward to working with you as a team to help each student at YES have a successful school year!